a Games of chance: games in which winning or losing is based solely or mainly on chance. Games of chance include casino games (namely, blackjack and roulette) and also bingo, poker and slot machines. d Lotteries: games in which a prize is awarded when a number or combination of numbers, or a symbol or symbols, drawn at random coincide totally or in part with the ticket held by the player. ‘Other games’ are considered to be similar to games of chance (i.e., contests, raffles, tombolas, advertisement contests, quiz shows) and consist of operations offered to the public where the hope for gain lies both in the player’s chance and skill or only in luck, resulting in a prize of economic value. These games are regulated as land-based gambling and are subject to the supervision of the Minister of Internal Administration, which establishes the conditions in which each game can be operated as well as the respective regime. A change in law in the near future may give municipalities the power to authorise such games. Fantasy leagues and skill competitions are yet to be regulated as gambling activity. In Portugal the right to operate gambling is reserved to the state and may be granted to private entities through a concession agreement (land-based games of chance), an administrative authorisation and licence (online gambling) or a monopoly regime (state-run games). The principles laid down in the gambling legislation aim to guarantee public safety and order; prevent excessive and unregulated gambling; control addictive behaviours; protect consumers; protect the integrity of the games; promote responsible gambling; prevent fraud, money laundering and terrorist financing; and demand that operators are fit and proper, and operate in a way that ensures an honest and fair game while preventing minors from playing. In Portugal, the minimum age for gambling is fixed at 18 years for all types of games and bets. Lotteries, pari-mutuel sports betting, land-based pari-mutuel horse betting and land-based fixed-odds sports betting are state-run games. State-run games are operated under a monopoly regime by Santa Casa da Misericórdia de Lisboa (SCML), through its Games Department. SCML is a private entity with public administrative interest under state control and subject to the supervision of the social security ministry. The operation of land-based games of chance and online gambling is open to competition through the awarding of concession agreements for the former and the issuing of licences for the latter. The gambling legislation is applicable and enforceable in the national territory of Portugal and the government is the grantor on the concession agreements. Nevertheless, the procedure for the awarding of concession agreements in the islands of Madeira and Azores is in the competence of the regional government. The offer of land-based games of chance in places other than those legally authorised is considered a crime in Portugal. It is also considered a crime if an operator offers (or promotes or organises) online gambling without having a licence issued by the national tourism authority. Portugal does not recognise licences issued by other EU Member States. Without prejudice to criminal liability, the Gambling Authority has the power to order internet service providers to block illegal websites whenever an illegal operator does not cease its activity and does not remove the gambling service from the internet within a maximum period of 48 hours after being notified for that purpose. Undertakings that operate illegally in Portugal cease to be considered of good standing and may not be able to apply for a licence. Gambling advertising by illegal operators is prohibited and is considered an administrative offence. The Gambling Authority is the competent authority to impose the penalties provided by law. As of May 2017, the Gambling Authority has signed cooperation and information exchange agreements with several regulatory authorities, including Spain, France and the United Kingdom, principally in order to combat illegal online gambling. The offer of state-run games by entities other than SCML is considered an administrative offence, with the exception of land-based fixed-odds sports betting and land-based pari-mutuel horse racing bets, which is considered a crime. With the exclusion of lotteries, which were allowed in the 17th century, all other games were completely prohibited in Portugal until the beginning of the 20th century. Games of chance were first regulated in 1927. The actual legal framework for land-based games of chance dates from 1989 and was last amended in 2015. The operation of bingo halls was first regulated in 1982 and the legal framework dates from 2011 and was amended in 2015. The online gambling legal framework in Portugal is the Legal System of Rules for Online Gambling and Betting (RJO), approved by Decree-Law No. 66/2015 of 29 April. State-run games are regulated by several legal decrees and, in 2015, the legal framework that defined land-based fixed-odds sports betting and land-based mutual horse racing bets as state-run games was approved. The Gambling Inspection and Regulation Service (SRIJ) is the gambling regulatory authority for land-based games of chance, online games of chance, online fixed-odds sports betting, and pari-mutuel and fixed-odds horse racing betting. State-run games are subject to the supervision of social security ministry. The gambling legislation clearly distinguishes between online and land-based gambling. Land-based gambling means gambling carried out in casinos, bingo rooms or other locations previously authorised for the purpose (e.g., betting shops), and that require the physical presence of the player. Online gambling means the games of chance, fixed-odds sports bets, pari-mutuel or fixed-odds horse racing bets, in which any devices, equipment or systems are used that enable documents, data and information to be produced, stored or transmitted, when carried out remotely, through electronic, computer, telematics and interactive media, or any other means. Land-based games of chance are subject to a concession agreement granted through a public tender to private undertakings. 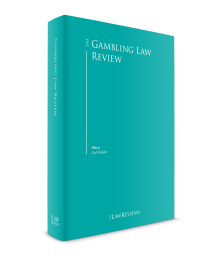 The operation of games of chance may only occur in casinos existing in specific gaming areas defined by law,3 or out of casinos in the special cases foreseen in the law (e.g., slot machines, gaming rooms, aircrafts and ships). In each gaming area only the respective concessionaire may operate a casino. Bingo is operated in casinos and it is also allowed, by way of a public tender, to be operated by private or public entities in bingo halls in locations previously defined by the member of the government responsible for tourism. In bingo halls concessionaires may operate traditional and electronic bingo. In April 2017, Madeira established a slot machine gaming room within a gaming area that is operated by the concessionaire of the casino. It was installed in Funchal’s Pestana CR7 Hotel and is currently the only slot machine gaming room in operation in Portugal. Betting shops in Portugal are operated by SCML’s mediators and their activity is restricted to state-run games. Besides betting shops, state-run games may also be sold in other venues as long as they have a valid permit. Upon the approval of the RJO in April 2015, the operation of fixed-odds sports betting, pari-mutuel and fixed-odds horse racing bets, and games of chance were permitted. The operation of online gambling is allowed by means of a licence granted by the Portuguese Gambling Authority to private undertakings. There is no limit on the number of licences that can be granted and applicants may apply for a licence at any time. Operators must present a technical gambling system (hardware and software, managed by the operator, which includes the website, the reporting front end and the gambling platform) to organise and operate online gambling in Portugal. Operators are required to ensure that the reporting front end (infrastructure) is located in Portugal and contains the necessary information concerning all transactions, in order to safely ensure the permanent flow of information between operators and the Gambling Authority. f the authentication and identification of players. The technical gambling system has to be located in premises to which the Gambling Authority has access at any time. In cases where the location of the gambling platform or any of the components thereof is virtual or uses components outside Portugal, the operator has to ensure access and the necessary permits from the premises of the Gambling Authority, in particular to carry out control, audit and supervision actions. The manufacture, import, transport, trade, display or publicity of land-based gaming equipment, such as casino tables, roulette wheels, slot machines and computer software, specifically intended for the practice of games of chance has to be previously authorised by Gambling Authority. The technical gambling system of online gambling operators has to be certified by third parties previously recognised by the Gambling Authority and if the certification is successful it is subsequently audited and homologated by the latter. State-run games equipment is verified by SCML. The concession of land-based games of chance is granted by the Portuguese state through a public tender to private undertakings, incorporated in the form of a limited liability company or equivalent, with its registered office in a Member State of the EU, or in a state that is a signatory to the Agreement on the European Economic Area, which is bound to administrative cooperation in the field of taxation and the fight against tax fraud and money laundering, provided that, in the case of foreign companies, they have a branch in Portugal. The public tender specifies all the terms and conditions for the awarding of the concession agreement. These terms and conditions include the cumulative requirements to be met by applicants (good standing, technical and financial capacity), the location of the casino or bingo hall where the gaming activity will be carried out, and the assets allocated to the concession, the period of the concession agreement and the possibility of its renewal and the awarding criteria. Until 2015 the renewal of the concession agreements in what concerns land-based games of chance was the sole competence of the government. With the amendments made in that year to the legal framework, the renewal of concession agreements is only possible if it is previously foreseen in the public tender. The operation of online gambling is granted by means of a licence by the Portuguese Gambling Authority to private undertakings incorporated in the form of a limited liability company or equivalent, as referred for land-based games of chance. There are four different types of gambling licences available (fixed-odds sports betting, pari-mutuel and fixed-odds horse racing bets, bingo and other games of chance). The licence application has to be submitted on the standard form approved by the Gambling Authority duly accompanied by the documents required for the verification of the good standing and the technical, financial and economic capacity requirements. The applicant must also submit a structuring plan of the gambling technical system containing a document describing the gambling technical system, the location in the national territory, where the front-end recording infrastructure will be hosted, the identification of the categories and types of online gambling to be operated, the mechanisms for player self-exclusion and for preventing the registration of players banned from gambling, the betting limits, the allowed payment methods and the rules for calculating and paying prizes, the way in which all the transactions in the player account are made, how transactions that involve transfers of funds between the operator and the player are processed, and the information security mechanisms adopted. If the decision of the approval to grant a licence is favourable the operator has to proceed with the down payment of the licence fees, present the safety deposits and obtain certification of the technical gambling system in order to the subsequent homologation. Only then will the licence be issued and the operator licensee may begin the operation. Licences are valid for a period of three years from the date of issue and may be extended for successive periods of three years if the operators maintain all the requirements demanded and the Gambling Authority’s audit is successful. In land-based games of chance the non-fulfillment by the concessionaires of their legal and contractual obligations constitutes an administrative offence punishable with a fine and the termination of the concession agreement. The general rule is the imposition of a fine or sanction. Only in certain cases (e.g., the concealment of gaming revenues, the failure to deliver or to increase the security deposits, the repeated infringement of the gaming legislation or the concession agreement) may the authorities suspend or terminate the concession agreement. The concessionaires’ responsibilities do not affect the criminal or administrative liability of the respective employees or agents for the infractions they have committed. The infringement of legal obligations in online gambling constitutes an administrative offence punishable with fines. There are minor, serious and very serious offences of the law and the amount of the fines vary accordingly from €5,000 to €1 million. According to the gravity of the infringement and the fault of the offender, additional penalties may be imposed, such as prohibiting the offender from partaking in any online gambling and prohibiting the right to take part in contract formation procedures or in procedures aimed at granting licences. The Portuguese Gambling Authority is the entity responsible for the supervision of the implementation of anti-money laundering (AML) rules by the stakeholders, such as casinos and online gambling operators, and has the power to enter and inspect premises, and investigate all suspicious activity related to money laundering and terrorist financing. Organised crime including match-fixing are investigated by the Public Prosecutor and police authorities. The Gambling Authority and the sports organisations cooperate closely with the above-mentioned entities, as well as collect relevant information related to this type of criminal activity. Regarding state-run games, the implementation of AML rules is supervised by the Ministry of Labour, Solidarity and Social Security. Gambling in Portugal is subject to different taxes. Land-based casino games are subject to the special tax on gambling (IEJO), which takes into consideration the different types of the games (games where players play against the casino, games where players play against each other and slot machines) and the geographical gambling area where the casinos are located. The rates grow slightly every five years throughout the concession agreement (until the fifth quinquennium, if applicable). On average, the rates vary between 4.5 per cent and 36 per cent in terms of gross gaming revenue (GGR). No other general or local tax is claimed regarding the exercise of the gambling activity. Prize moneys won by players are not taxable. Land-based bingo operated in bingo halls (traditional and electronic) is subject to stamp duty of 25 per cent. c in games of chance in which players play against each other and where the fees charged by the operator are the sole revenue deriving directly from operating, and in betting exchanges, the IEJO is levied at the rate of 15 per cent. The revenue deriving directly from the pursuit of activities liable to the IEJO is not liable to corporate income tax and stamp duty. Prize money won by online players is not taxable. State-run games are subject to stamp duty of 4.5 per cent on the amount of the bet and of 20 per cent of the amount of the prize that exceeds €5,000. Stamp duty is borne by players. Mutual horse racing bets are subject to IEJO at a rate that varies from 15 per cent to 30 per cent of GGR. Players’ winnings are not subject to income tax. Until 2015, only the advertising of state-run games was allowed. With the approval of the RJO in April 2015 the Publicity Code was also amended, which permitted the advertising of all gambling activities. According to the Publicity Code, the advertising of gambling has to be conducted in a socially responsible manner; must respect the protection of minors; highlight the entertainment aspect of gambling; not suggest success, social achievement or special skills as a result of gambling; or encourage excessive gambling. It is expressly prohibited to advertise any gambling that is aimed at or uses minors in the message. It is also prohibited to advertise gambling within schools or 250 metres in a straight line from schools or other infrastructures intended to be frequented by minors. The infringement of these rules constitutes an administrative offence punishable by law with a fine and the Gambling Authority is the entity responsible to initiate and manage the administrative procedure. The most significant development in gambling in 2016 was the issue of the first online gambling licence, which occurred in May. Currently, there are four operators holding six licences: two for fixed-odds sports betting and four for games of chance. Although the Portuguese market is a young market, players have shown a massive interest in the regulated market. Notwithstanding, there is a controversy among international operators regarding the online fixed-odds sports betting taxation regime demanding a change in the actual tax bases and rates. The RJO was designed with the consideration that an initial period of evaluation would be needed and that within a maximum period of two years after the issue of the first licence (25 May 2016) a reassessment of the framework should be carried out by the Gambling Authority and presented to the government. The main issues that the Gambling Authority will be focus on are the tax regime and new types of games, such as virtual games and e-sports. 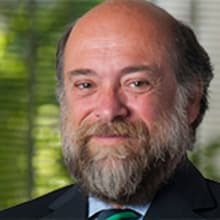 1 Duarte Abecasis is a partner and Gonçalo Afonso Proença is of counsel at Cuatrecasas. 2 Although foreseen in the primary law, the technical requirements for betting exchanges are not regulated. Therefore, as of April 2017 no licences can be issued for this gaming activity. 3 There are 10 gaming areas: Azores, Algarve, Espinho, Estoril, Figueira da Foz, Funchal, Porto Santo, Póvoa de Varzim, Troia and Vidago-Pedras Salgadas.